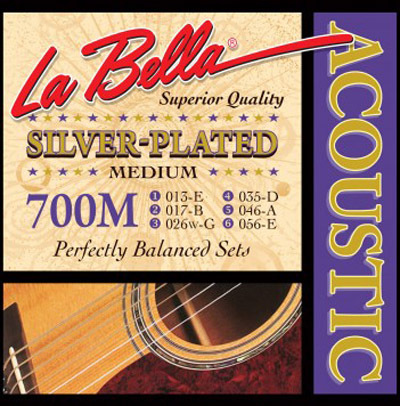 If you like silver-plated strings, try the medium tension 700M set. La Bella starts with a steel core, then hand winds it with silver-plated copper wire. The result is strings with a clean, crisp tone. The strings have slightly less tension than strings wound with bronze or brass. La Bella introduced this traditional style of string in the 1940s. Loving the site so far!